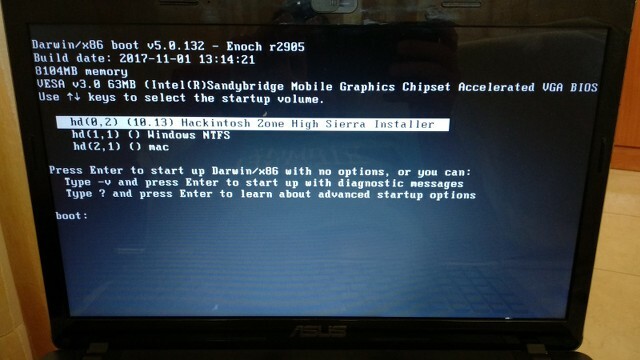 after long time looking for Asus k53SJ hackintosh with high sierra, I don't find anything. Then, I want to create one, but I have issues for getting system up, and I need your help. When I boot in UEFI BIOS MODE disabled, I don't see Clover Menu, only a DOS type menu, and after a lot of lines of code, it ends in line "Still waiting for root device". I have read about it, and I have tried different USB ports and two pendrives (USB 2 and 3). Note: I had vanilla install of MAC OS Sierra before, done by an old friend, and I have a backup of DSD files and kexts, but I don't know very well how to use in this installation to solve the issues. Can I put this files into the new USB with High Sierra Zone? Then, I've booted from the original config.plist and from the backup config.plist, and in both cases, I have the system freeze with text "MAC framework successfully initialized". I don't know if the copy of backup files in this USB folders it's the correct procedure. @joey_dag boot in UEFI BIOS MODE disabled, keep pressing number 2, which will load Chameleon, Instead of Clover, with Chameleon you can install High Sierra. Hi, I've been out of home. I will try now and I give you feedback. When I disable UEFI mode, it starts in this mode, pressing or not the "2" key. Use USBBusFix=Yes kernel-flag with chameleon to fix still waiting for root device. try with my boot clover legacy. @lthnhvvn I'm happy that you solved your issue. Thank you very much! With your zip, I got into the installation! Now I'm out of home and no network available, when I come home, I will continue this guide. Thanks @lthnhvvn and @Niresh! Hi there all. I've returned for this project a few weeks ago, but I have advanced it only a little. Now I've trying to upgrade from 10.13 to 10.13.6, through App Store, but when I send the reset, it says it starts the upgrade but quickly stops, and reboot without any changes. I don't have UEFI bios and I have the disk in HFS format. Do you think that is it the problem? Any ideas? 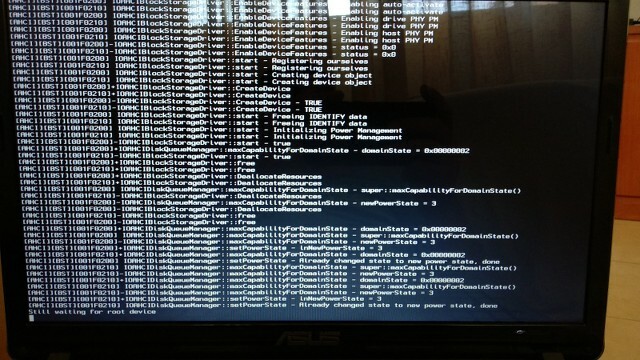 I hope I will get a final Hackintosh state and then I will complete this guide for Asus laptops.